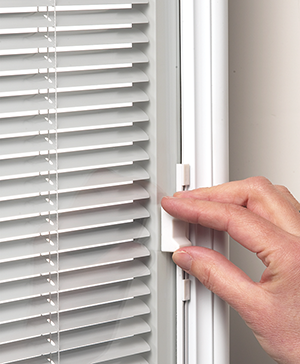 Grill Options & Venetian Mini Blinds | AMICA Windows and Doors Inc.
Accessorize your patio door with elegant blinds. Available in white only, the Venetian look allows you to control the light, a touch of a finger will raise, lower and tilt the louvers. The classic and delicate look is made from the highest quality materials, and is an ideal solution to costly window coverings. 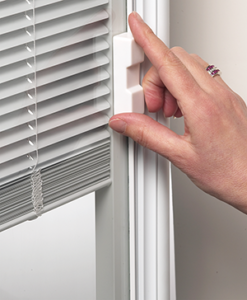 All mini blinds are standard with Low ‘E’ high-efficiency glass. Our products meet the Energy Star program guidelines for helping businesses and individuals protect the environment through superior energy efficiency. AMICA Windows and Doors Inc.